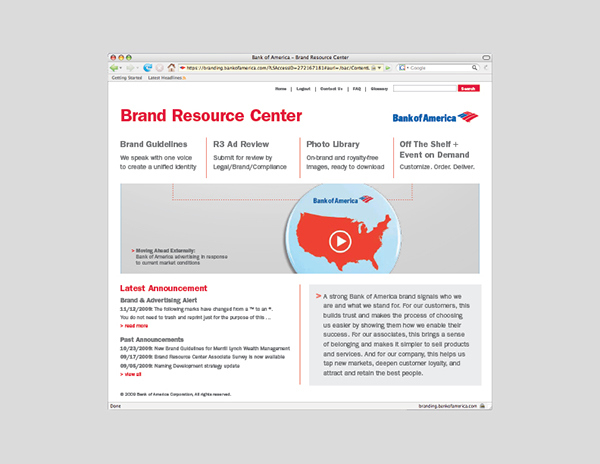 During my last assignment at Bank of America, I was asked to rethink the design of the Brand Resource Center web site and to present a new concept a few days later. 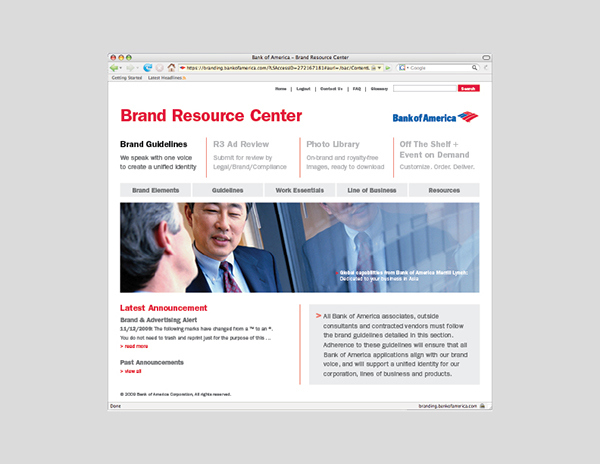 Another designer on the team had taken a stab at the project, but the Brand director thought that initial design was too heavy on Flash (and flash) and too light on ease of navigation and clear presentation of the material. 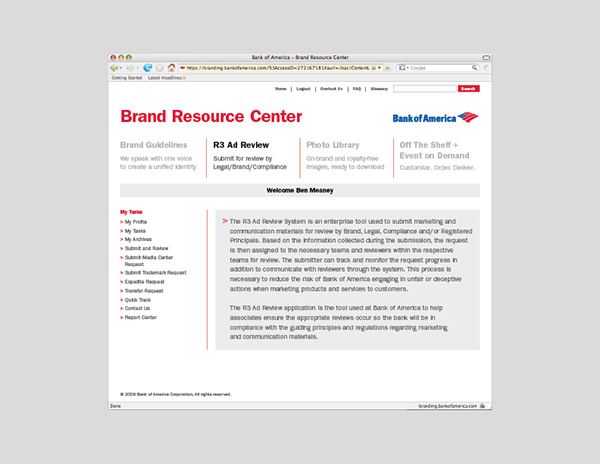 Since the vast majority of visitors to the site are not designers, the information needed to be presented in a straightforward manner. 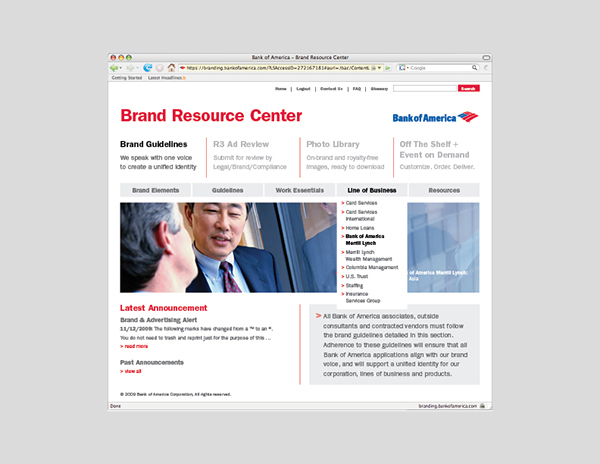 I simplified the navigation and introduced a large, rotating graphic beneath the main nav bar that shows examples of how the brand appears in the marketplace (up to that point, the site only showed thumbnails of templates, not actual collateral). 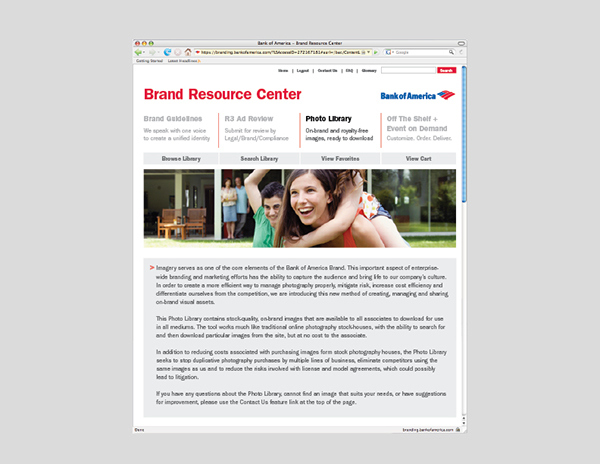 I also researched and presented PDFs of, and/or URL links to, other institutional brand guidelines to provide a broader context for the redesign effort. This work was expanded on and refined after I left. 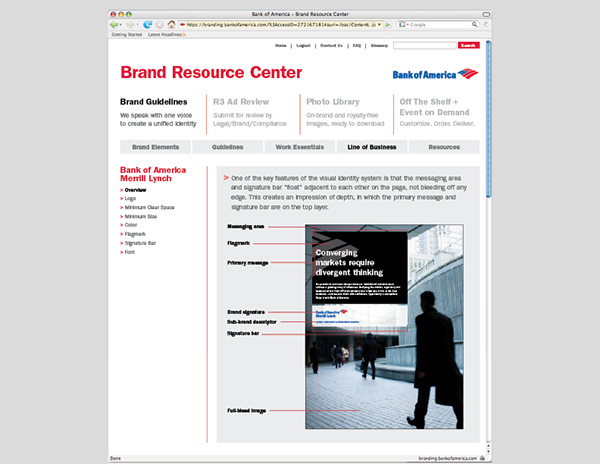 It served as the baseline thinking for the new site that went live in spring 2010.